February is American Heart Month. I recently attended the Women with Heart Luncheon, hosted by Morehouse School of Medicine (MSM). For the past ten years MSM has hosted a luncheon for women to bring awareness about heart disease, the number one cause of death in women and especially women of color. As I listened to stories of women who survived heart attacks in their 30s and 40s, I was shocked by this truth: you can have perfect blood pressure, a normal lipid panel, and no history of heart disease in your family and STILL have a heart attack. Why? Because of stress. Stress is a killer. Many women experience the most stress on their jobs. Women are nurturers, taking care of everyone else except themselves. 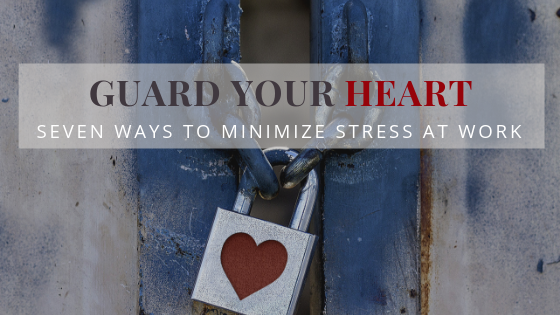 When you add the weight of a busy, high-pressure career on top of family responsibilities, the chemicals released inside the body due to stress can erode the heart and ultimately lead to a heart attack. Don’t get involved in office gossip. Although a recent study by Monster.com reported that office gossip can, in some cases, be beneficial, the majority of gossip is negative. Feeding off of someone else’s mishaps, mistakes or misdemeanors is divisive and destructive. If you’re around people who like to gossip in this way, learn to either shift the conversation to something positive or walk away from the group. Eat lunch alone. Sometimes you need to get away from the noise and restore yourself in silence. During this time, read or listen to something funny or uplifting. Exercise. If your office has a gym, go work out or take a walk outside the building during your lunch breaks. Practice positivity. Pray or meditate before going to work to frame and focus your mind. Post positive notes in your office space that infuse hope and possibility into your human spirit. Display pictures of loved ones that evoke positive, warm memories. 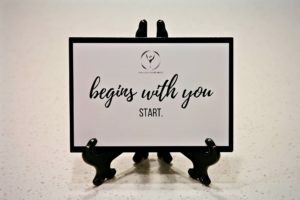 Write notes of affirmation to your boss, peers or direct reports for work well done. Celebrate the small victories. For every goal achieved at work, take time to acknowledge and reward yourself for the accomplishment, no matter how big or small. Laugh. Laughter is good medicine, as it releases endorphins that heal and make the body feel good. Spend time with people or listen to positive media that make you laugh. Change careers. No job is worth compromising your health. If the work environment is too toxic or if you feel stressed from a job that is not a good fit for you, then look for other opportunities that align with your values and areas of strength. Guard your heart, especially in the workplace. These are my seven go-to stress relievers. Do you have others? Leave a comment below and let me know of other ways you can reduce stress at work. Thank you for sharing time and space with me. If you would like to be part of the #OYO community and receive updates directly to your inbox, CLICK HERE. And don’t forget to follow me on all social media platforms for daily inspirations! These are excellent tips to give to women/men to alleviate stress in the workplace. I think that many times we know how to remove the stress but we are not INTENTIONAL in removing those things that are causing stress because many of think we can handle it, when actually we are slowly dying (mentally) and physically. If we would be true to ourselves and really assess our living conditions as it relates to our workplace (and home life) we would begin to remove those things that are not positive and do not add value to our lives. It is important to recognize the stress factors in our lives and sacrifice that job, relationship, or living situation in order to live a long and fulfilling life with a smile on your face. Thanks for poignant observation and call for us as individuals to be better to ourselves. You make great points, David. We must be intentional and make choices that are in the best interest of our complete and total wellbeing. Thanks for sharing!